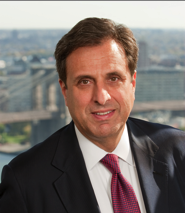 Our Partner Jeffrey Bloom will be a speaker at the “Mount Sinai Update: Breast Imaging Conference” to be held at The New York Academy of Medicine on October 12, 2015 . Jeff will speak from 10:15 AM to 11:15 AM and his presentation will cover the plaintiff’s attorney’s perspective on breast imaging malpractice. After the presentation Jeff will also participate on a Medico-legal Issues Panel. To register click here. Discuss the new ACR BI-RADS 5th Edition terminology for breast imaging findings on mammography, ultrasound and MRI. Our partner, Jeffrey Bloom, will be speaking tomorrow at the “Mt. Sinai Update 2013: Breast Imaging” program. This program is designed to cover clinical aspects of breast imaging including digital mammography, breast ultrasound, breast MRI, and interventional procedures, as well as medicolegal issues. The faculty consists of twelve nationally and internationally recognized experts. Jeffrey Bloom will be speaking on the subject of Breast Imaging Malpractice and provide a Plaintiff’ Attorney’s Perspective. The complete Agenda can be found here.